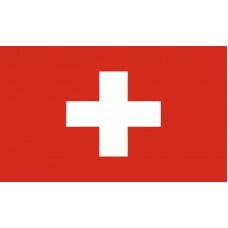 The Switzerland flag features a red field with a white cross in the center. As well as the Vatican City, the Switzerland flag is the only other flag that has a square shape. 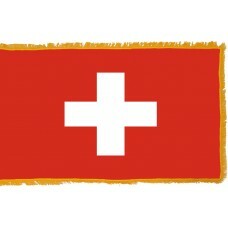 There are different interpretations on what the Swiss Cross on the flag represents. 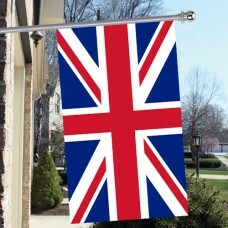 The red color on the flag represents the blood spilled keeping the faith of the country and the white color on the flag represents Christianity. It is thought that the Swiss Cross is represented on the cross to symbolize Switzerland’s neutrality during worldly conflicts and it is thought that the cross symbolizes the "Patenmedallie" which was a cast offered to Princess Claude of France. The Switzerland flag, as a whole, symbolizes freedom, honor, and fidelity as well as neutrality, democracy, peace, and refuge. The Switzerland Flag was adopted on December 12th, 1889, which makes it one of the oldest flags in the world. Switzerland is a landlocked country that is located in Central Europe and shares borders with Germany, Austria, Liechtenstein, France, and Italy. It is one of the smallest countries in Europe and the most mountainous as 65% of the country is covered by the Alps mountains. The capital city of Switzerland is Bern and the largest city is Zurich. Switzerland is a country that has been independent since 1499, although there was a brief period that it was occupied by France. 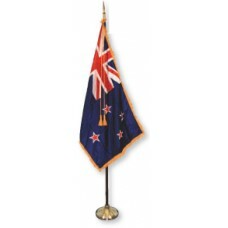 The first inhabitants of Switzerland were the Helveti in 500BC. Switzerland then became part of the Holy Roman Empire until it gained its independence in 1499. In 1798, Napoleon’s French invaded and occupied Switzerland and it was known as the Helvetic Republic. When the war began between France and its rival countries, the Russian and Austrian forces invaded Switzerland who refused to fight alongside the French despite their control of the Helvetic Republic. In 1815, the Congress of Vienna gave Switzerland its independence back and recognized the country's neutrality. Switzerland is one of the richest countries in Europe and is believed to have the most stable and thriving economy. The economy mainly thrives due to manufacturing, mainly of chemicals, health, and pharmaceutical products. Tourism also contributes to the economy and Switzerland is home to many tourist attractions which include the Snowy Swiss Alps, a popular skiing destination. The most popular attraction is the "Jungfraujoch" which is also referred to as "The Top of Europe." The biggest highlight is the train trip that takes people there, as it begins from the lowest point and ends at a height of 3454 metres. It is one of Switzerland's highest peaks and the longest glacier in Europe "The Great Aletsh Glacier" begins there. Lake Geneva is also a very popular attraction and is the biggest alpine lake in Europe and home to the "Jet d'Eau" which is a famous jet fountain that shoots water 150m into the air. The capital city of Bern is home to the medieval old town which has many important landmarks, such as the tallest cathedral in Switzerland and the "Zytglogge" medieval clock tower. Thou, O Lord, appearest in their light.